Killer Chords presents the basics of chord construction in an easy to understand manner. Many chord voicing techniques for guitar are presented in a concise, but thorough manner. Triads, seventh chords, chords with tensions and embellishments, and their inversions are taught using closed positions, Drop-2, Drop-3, Drop-2 and -4 and quartal harmony voicings. 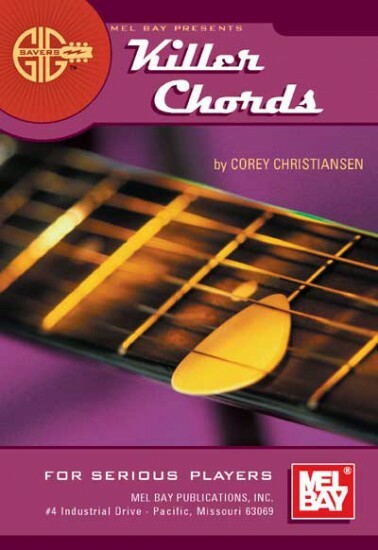 This relatively small book contains a wealth of chord knowledge with explanations that are easy to understand. Presented in standard notation and tab.